Located in York, Marros Law Office offers experienced representation in criminal defense and family law to clients in central Pennsylvania. Whether you are facing charges related to DUI/DWI, drug offenses, firearms offenses or any other crime, ours is the firm to call. Attorney George N. Marros has extensive experience on both sides of the courtroom. Before opening Marros Law Office, he served as a prosecutor in the district attorneys' offices of Dauphin County and York County. He understands how criminal cases are prosecuted, and he uses that knowledge to better defend our firm's clients. Our firm also offers advice and representation in family law, including divorce, child custody, child support and related matters. Whether it's DUI/DWI, divorce or something else entirely, we want you to know that your legal issue is just as important to us as it is to you. 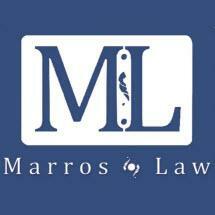 Marros Law Office is pleased to offer free initial consultations to all prospective clients. To learn more about what we can do for you, contact our office to schedule an appointment.